Fighting between rival ethnic groups in western Ethiopia has killed at least 44 people and displaced 70,000, the UN says. 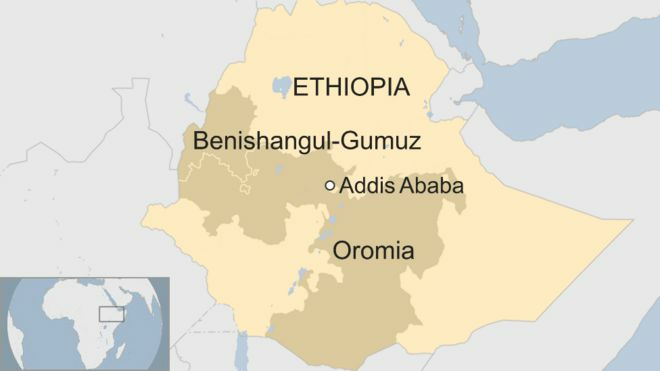 Violence erupted on Friday after gunmen killed four local officials during a visit to neighbouring Oromia region, residents of Benishangul-Gumuz say. Youths armed with rocks and knives forced people to flee their homes. Prime Minister Abiy Ahmed’s push for reforms since coming to office in April has failed to quell ethnic conflicts. Benishangul-Gumuz, which borders Sudan and South Sudan, is one of Ethiopia’s nine regional states. Is Abiy Ahmed the man to save Ethiopia? Nearly one million people have been displaced in southern Ethiopia since clashes erupted there in April, according to UN agencies. The people behind the killing at the border between Oromia and Benishangul-Gumuz regions were unidentified gunmen, Benishangul-Gumuz’s communications chief Zelalem Jaleta was quoted as saying by Walta Media, which is close to the governing party. In September, at least 28 people were killed after fighting broke out in the capital, Addis Ababa. Supporters of the Oromo Liberation Front (OLF) had placed their flag in parts of the city. The move was interpreted by some residents as an attempt by the OLF to take control of the capital and rival supporters then clashed. Since coming to power in April, Prime Minister Abiy has introduced a series of reforms that have been widely welcomed. 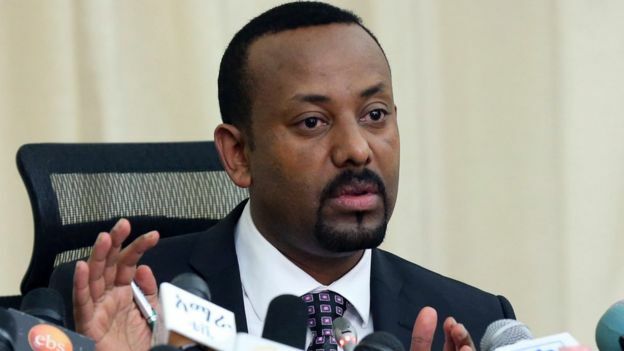 Mr Abiy who is from the Oromo ethnic group, has been seen as the person who could resolve political and ethnic divisions in the country, but conflicts persist in several parts of the country.